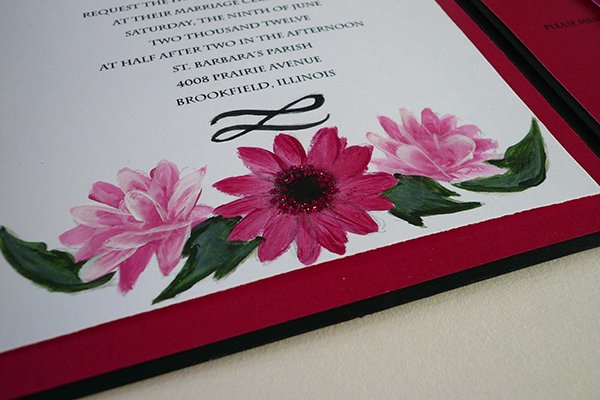 This invitation features a hand painted daisy and two peonies embellished with glitter. 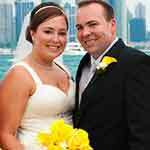 This bride chose a bright hot pink and black as her colors for a striking look. 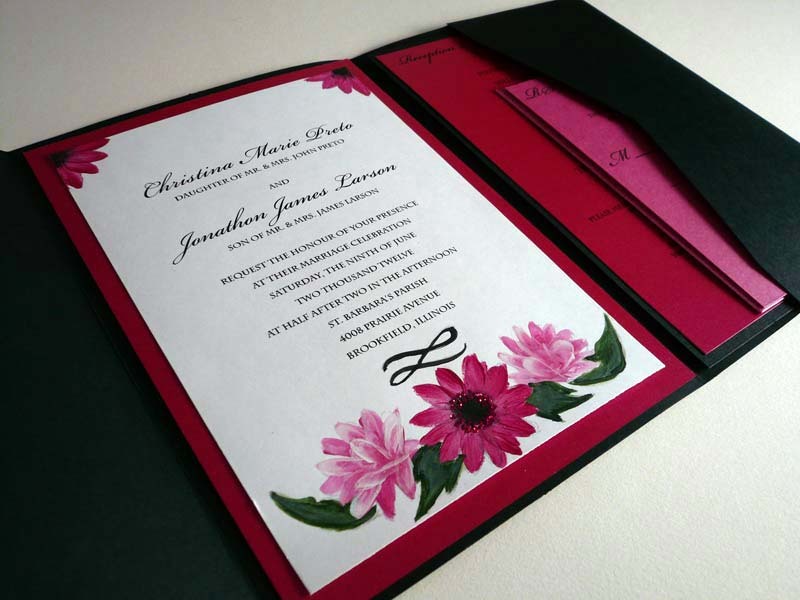 A custom piece that included the black pocketfold enclosure with tw o pink insert cards.